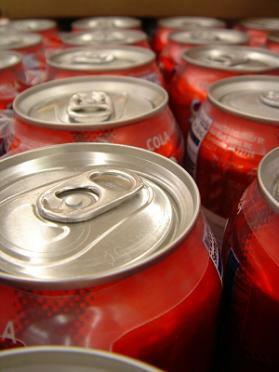 When it comes to dental erosion, the biggest culprit is actually what we drink. A recent study examined this trend, and it was found that the more juice or soda that you drink each day, the more significant your level or dental erosion will be. To understand just how juice and soda are affecting the teeth, it is important to be familiar with the concept of dental erosion. Erosion involves the enamel of the teeth, which is the hard, protective layer that coats the tooth. Erosion exposes the enamel to acid, at which time it starts to wear away. This can result in pain and sensitivity. Unfortunately, there is no way to regrow the enamel, so once it is gone it is gone for good. When it comes to erosion, the pH value in your food or drink is what makes all the difference. The pH value is the measure of acidity, and anything lower than 5.5 can cause damage to the teeth. Fruit juice, soda, and other carbonated drinks are all known to have low pH levels. A recent study published in the Journal of Public Health Dentistry found that a good portion of adults are living with dental erosion, and the most severe cases are found with adults who drink fruit juices and soft drinks. Nearly 3,800 participants were examined, and it was found that 79% had dental erosion, with 5% displaying severe tooth wear. It was also found that the participants in the study who had the most severe levels of wear drank more juice and soft drinks each day than the groups with only mild wear or no signs of erosion. Among the participants with the lower levels of wear, milk was a more popular beverage than fruit juice or soda. Please contact us if you have any questions about tooth erosion.